PRX » Group » Gioia Timpanelli & Co. Author, Stoyteller, Sometime Lecturer, and Host of the radio program, Told and Retold as well as Story Traveler. Often called the ‘Dean of American Storytelling,’ she is today considered one of the world’s foremost storytellers – widely respected as both a master and scholar of the ageless art. 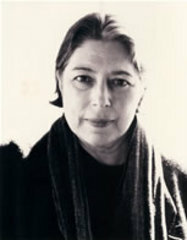 She won two Emmy Awards (Citations of Merit) for Tales from Viet Nam and for her series of 30 programs on storytelling, Stories from My House, on educational television, where she created, wrote, produced, and appeared in eight series of literature programs shown on PBS stations throughout the United States. Sound is our first and primal sense and we live our lives bombarded with news, yet the stories we are missing – stories that not only entertain and inform, but feed and transform us- are harder to come by in today's fast media. Story Traveler is a weekly 5 minute story series, produced and broadcast by Gioia Timpanelli, one of the founders of the world wide storytelling revival, telling contemporary stories and world folk tales with local diversity and universal humanity. These radio programs are the here and now of the unscripted storytelling art, with stories from everywhere in the world - stories for the heart to hear and the mind to imagine. Gioia Timpanelli interviews singer/songwriter Susan Osborn about her career with the Paul Winter Consort and her experiences performing in Japan. Here are two stories that come from the tradition of Yiddish folktales. Two fables from Aesop; The Wolf and the Crane is told first, followed by the Lion and the Mouse. People who work with Gioia Timpanelli & Co.